Home » Life » Aren’t you thankful your childhood happened before technology took over ? Sometimes I wake up very early in the morning and can’t get back to sleep. I’m talking about 4am early. My mind starts going into overdrive. I think about the most trivial of things. I start worrying about this and that and before I know it I’m fully awake. I’m writing this post at 6.02am sitting in my kitchen. The aroma of homemade feijoada fills the air. It smells good and it’s making me feel hungry. Feijoada is a Portuguese dish cooked with black beans and pork or beef. It’s a great slow cooker recipe. So I poured myself a bowel of homemade muesli and mug of green tea. I thought about my next blog post. What would I choose as the subject ? Despite having some fine weather I haven’t done much cycling this last couple of weeks. And then an image which I saw on Facebook popped into my head. Completely at random and I couldn’t get rid of it. I take no credit for the image. It was originally posted by Marc Mero on Facebook. Thank you for the inspiration Marc. My first thought upon reading it was “does this mean that technology prevents our kids from having the same type of fun childhood as we did ?” It got me thinking about my earliest cycling memories. I remember my first trike. It was purple. Then my first bike with stabilizers. And that’s when I remembered my very first solo bike expedition. At around 5 years old I decided to leave the confines of my cul-de-sac that was McIver Terrace and head towards the hi-rise flats of Lumsden Court. The journey entailed several road crossing and a distance of about half a mile. Naturally I never told anyone where I was going. Why would I ? At 5 years old that thought never crossed my mind. I was going on an adventure. I wanted to reach those tall buildings that I could see in the distance. My parents were frantic with worry. They eventually found me an hour later after having all the neighbours out searching. I got a scolding that day and a clip round the ear ! The spirit of adventure continued to grow in me. When I got my first “big bike” that really opened up opportunities to go further. 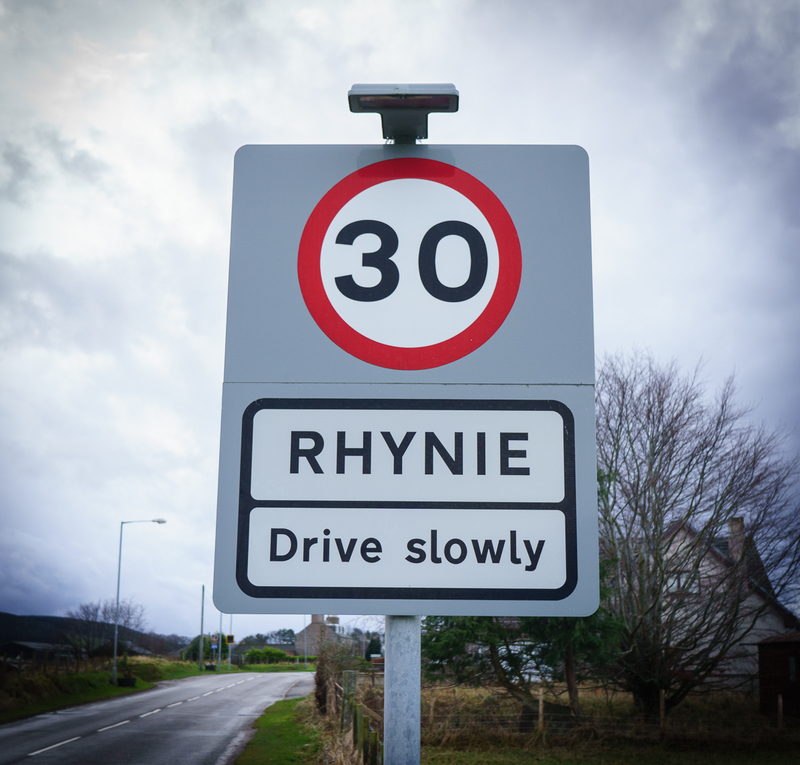 One summer evening at the age of 9 years old, I decided to cycle to Rhynie. I can’t remember the exact reason, but I’m sure it was because I knew someone there. Of I set with a group of friends. There was Willie Thomson on his Raleigh Budgie, Des Fell on his Raleigh Commando and me on my single speed. The 9 mile journey must have taken 2 hours. Its mostly uphill from Huntly. Being so young we hadn’t thought of things like food and water and we didn’t always tell our parents where we were going. We ended up stopping at several houses along the way to ask for a drink of water. The good thing was that we were usually given lemonade and biscuits. That was the start of many summers of cycling adventures. Over the next few years, the group grew in size and our destinations stretched to included Rothiemay, Kennethmont, Glass and Forgue to name but a few. We never seemed to have bad weather either. Fast forward a few years and we’re now in secondary school. The Dukes of Hazzard was one of the most popular TV shows. We cycled to Gartly most nights to play football with our classmates. 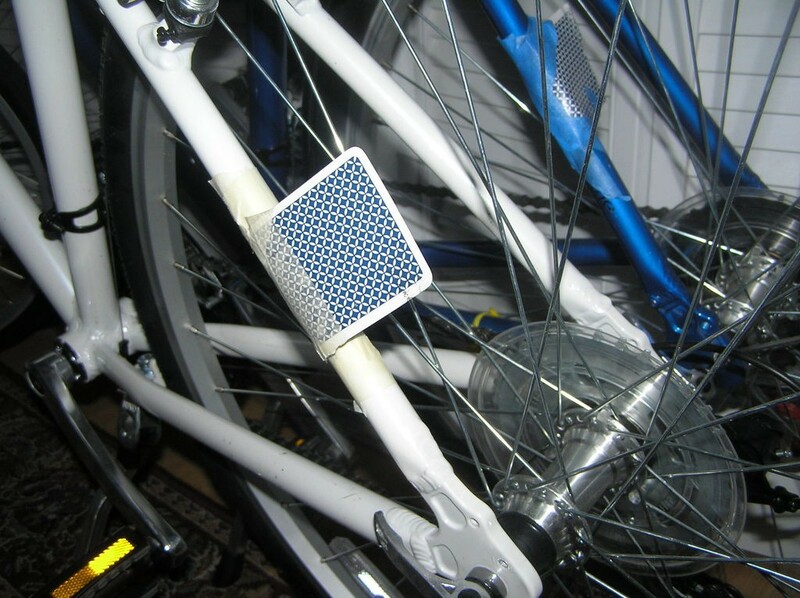 We even began to add technology to our bicycles. Inspired by the Duke Boys some of us fitted CB radios to our bikes using motorcycle batteries as a power source. Citizen Band radio was the latest and greatest technology at that point. Of course we had to have the obligatory “01” red and white number to signify that our bike was in fact not a bike, but a ‘69 Dodge Charger – the General Lee. And your bike wasn’t complete unless you had playing cards in the spokes of your wheels to give that authentic engine sound. Are kids still cycling as much today ? So while I do feel that I’m glad that I had my childhood in the 70’s and 80’s, we grew up in a different time. Roads were less busy. Everyone knew everyone else in the town and everyone knew who your parents were. If you got into trouble, it wasn’t long before your parents found out. Kids were generally safe. Today children are cycling far less and there are a number of possible reasons for this. Roads have become far busier and more dangerous. The Internet has led to some worrying behavioral trends in our society which makes parents cautious of letting their kids out alone. The town itself is a much bigger place. No longer does everyone know everyone else. With all that that implies. And due to the convenience of jumping in a car to go places, its easier to drive around town that it is to cycle or walk. Does this mean that kids enjoy themselves less now? In my opinion no, unless we as parents make it that way. I encourage my son and his friends to go cycling, camping and being outdoors. I feel that by doing so, we are raising a generation who are engaged in nature and will learn more about life and the world than relying solely on social media and TV. We also reduce the risk of raising children who only know one mode of transport. The motor car. The other question that’s implied in the Facebook image is “Is technology bad for our kids ?” I don’t believe it is, if used appropriately. Among the common technologies used everyday are the Internet and Smartphones. My father used to say that these [Computers] “will give you square eyes, just like the TV does”. But they have immense value as a tool in the armory for keeping our kids safe. I won’t let my son leave the house without his phone. In fact he won’t go out without it. I know that some may disagree with that approach. But they allow you to be in contact with your child when they are out. 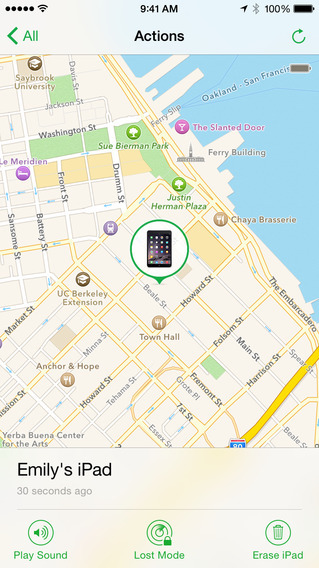 Most phones sold today have smartphone functionality and have a built in tracking app, or at least one which can be downloaded. Once enabled you can see in a web browser where the phone is located. Another great, and cost effective, safety device is the modern cycle light. Lighting technology has moved on leaps and bounds in the last few years. No longer do we have the dinner plate sized Ever Ready cycle lights that were heavy and didn’t actually light anything up. Today you can buy lights which can be seen for several hundred meters. More importantly they fit discretely on a bike so wont impact on your teenager’s street cred. As well as the use of technology, there are few other thing that my wife and I have done over the years to ensure our son can safely enjoy being on his bike. Make sure the bike is roadworthy i.e brakes and gears work, that handlebar grips and seat are fitted securely and that your child can fix a puncture. Or at least call home if they get one. Next is cycling proficiency. We didn’t let our son out on his own until he passed his cycling proficiency test. Even then we took him out several times afterwards. With the current lack of safe cycling provision in the United Kingdom, I view cycling proficiency the same a learning to drive a car. You wouldn’t let your child out driving on their own unless they had lessons and passed their driving test. Wear a helmet. This is the one safety item that I would make mandatory for children. It’s difficult to get teenagers to wear one, but there are cool / fashionable / trendy designed helmet that are acceptable to teenagers. I had to buy one a few weeks ago after my son ‘outgrew’ his old helmet. And finally, before going out on a cycle run we arranged times and checkpoints for our son to contact us. An SMS or quick call is all that’s needed. Am I thankful I grew up without modern technology? Getting back to the image that inspired this post. 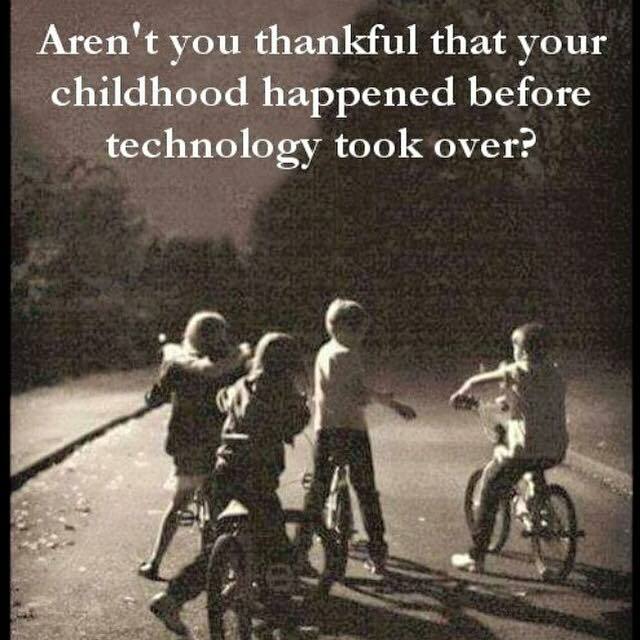 “Aren’t you thankful your childhood happened before technology took over ?”. Yes, I’m glad I had my childhood when I did. But that doesn’t mean that children today will have any less enjoyment than we did. Our role as parents is to provide guidance, and a safe and loving environment for our children. Technology can be an effective part of that if we use it wisely. Our kids can be safe outdoors, cycling and enjoying themselves…..and still have their smartphones with them. The best of both worlds. Reminded me of my cycling in London in the 50s aged about 7-10. Not only the rise of technology presents a challenge but also over-effectiveness of most parents prevents learning about risk. That should have been “over-protectiveness”. Bloody autocorrect. Its a fine line between being overprotective and allowing the freedom to make mistakes and learn. Its difficult to always get it right. Thanks for the memories of bikes. I remember my first bike for Christmas which was bought at a bike shop in Bogie St. (I think) I couldn’t cycle and my Dad took me to his poultry shed in Princes Street to learn. I have a scar on my arm when the bike was slipping away from the wall and a nail made a nasty gash! I have always had a bike and love cycling. I’m glad my posts bring back happy memories of bikes and biking. Hopefully my future posts will continue to do so as well. Thankfully helmets are still optional, cycling’s as dangerous as you want to make it. The only helmets I saw in Holland were worn by “sportivistes” as a badge implying their difference from the huge majority who never wear one. When riding on public roads in the UK, I think wearing a cycling helmet is a must nowadays especially for children. ← Winter is here … almost.